Ubuntu font 'monospace' variant hits Ubuntu font testing PPA - OMG! Ubuntu! A beta release of the Ubuntu font family’s mono-spaced�variant has been made available to users of the ubuntu-font-beta-testing PPA. This mono-spaced version joins the regular, italic, bold, medium and ‘thin’ versions already available in various states of readiness online. 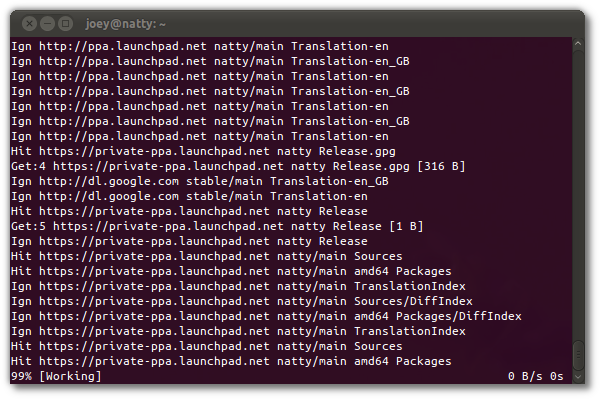 Anyone who helped to beta test previous versions of the Ubuntu font will still have access to the testing PPA. Just sign in to your Launchpad account and, on your profile page under ‘Personal Package Archives’ click the ‘View your private PPA subscriptions’ link. You can apply to become a beta tester by��joining the Ubuntu Typeface Interest group on Launchpad and waiting to be approved/granted access to the PPA. Do remember that the Monospaced font is in beta and, as such, may be missing characters or language support as well as being subject to�improvement�and change.